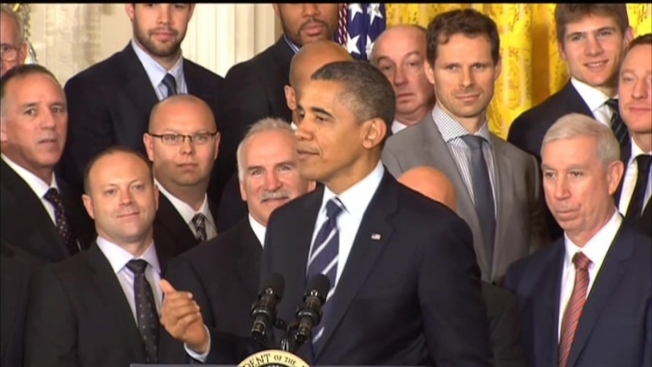 The Chicago Blackhawks are in Washington DC Monday to visit with President Barack Obama at the White House, but before the ceremony to honor them, they visited Walter Reed Medical Center to spend some time with the troops at the facility. Patrick Sharp and Patrick Kane get cover treatment in the latest issue of Michigan Avenue magazine. See behind the scenes of the Blackhawks studs' photo shoot. 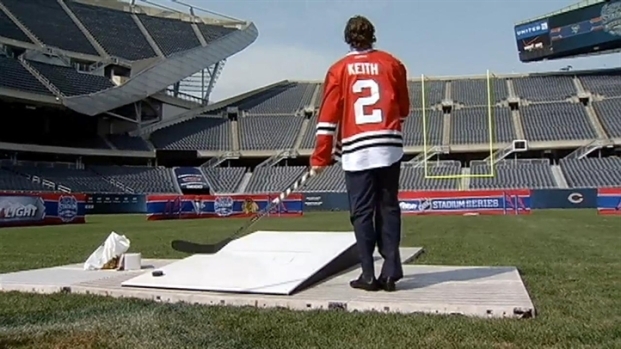 Blackhawks defenseman hypes next year's Winter Classic game versus the Pittsburgh Penguins by shooting pucks through the goal post at Soldier Field.